In this new blog series, our food solutions experts look at a different bakery foods and pizzas, and give you the details on the history of the product, where to buy it and how to bake it. Cakes with plastic babies in them. 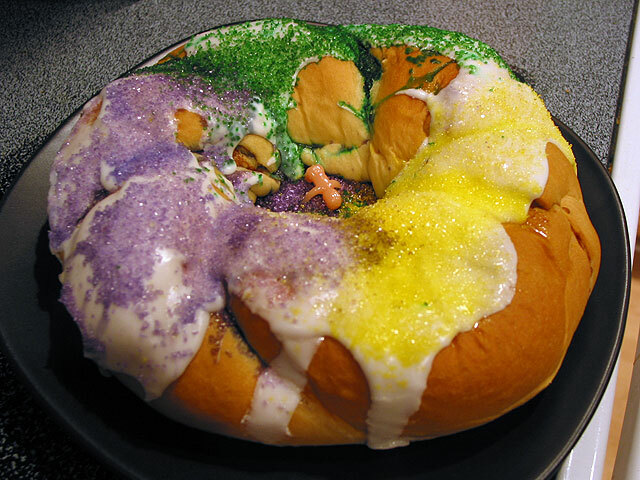 In the United States and outside of Louisiana, the King Cake can be a mix of confusing, amusing and just plain weird. But if you’ve ever had one, you’ll understand why they are all the rage from January 6th to Fat Tuesday. Despite what many people think, King Cakes are not exclusively a New Orleans thing. In fact, people all over the world eat variations of King’s Cake to celebrate the Christmas season or the start of the Epiphany. However, New Orleans has made King Cakes big business and something special to celebrate. So what is a King Cake? Every baker does it different, but the basic structure is the same. A sweet pastry, cake or bread formed into a ring and topped with icing and sprinkles in traditional Mardi Gras colors of purple, gold and green. There are variations to the traditional King Cake, and you’ll see bakers producing cinnamon swirled breads, cream cheese-filled cakes and more. But what about that baby? Exactly! What about the baby? For starters, it wasn’t always a baby. In fact, that;s a recent thing. Hundreds of years ago, King Cakes had a single bean, coin, pea or ring in it. If you happened to get the slice with the “prize,” you were “king” for the day. Not surprisingly, beans and coins gave way to more impressive prizes, hence the baby you will find inside King Cakes today. Or not? Food safety concerns has forced many bakers to serve that baby “on the side” and leave it up to the consumer to hide it in the cake. Have we tempted your taste buds? Here are some essential King Cake links to explore further. Where can I buy a King Cake? During the run-up to Lent, most bakeries will sell a version of King Cake. If you want the real deal though, head down to Louisiana where every bakery will be featuring these delicious sweets. If you’re a traditionalist, head to Manny Randazzo King Cakes. They’ve been making King Cakes since 1956, and even can ship them to you anywhere in the United States. If you’re in downtown New Orleans, we suggest checking out Gracious Bakery + Café, which produces exceptional King Cakes, as well as some other delicious Mardi Gras treats. If you’re looking for something out of the ordinary, head over to the famous Emeril’s Delmonico restaurant and nosh on some King Cake Donuts. Or, you can make them with this recipe. How can I make a King Cake? Looking to bake a King Cake at home? We’ve got you covered. Here are some of our favorite recipes for both traditional King Cakes and some fun variations. Traditional Take: Southern Living offers a traditional recipe with a video to follow along. Quick and Easy: Gold Medal has you covered with a simple recipe that will still please your guests. For a Party: Try this Pull-Apart King Cake Bread from Southern Bite for an easy way for party guests to eat and mingle. Ready to tackle a King Cake recipe? 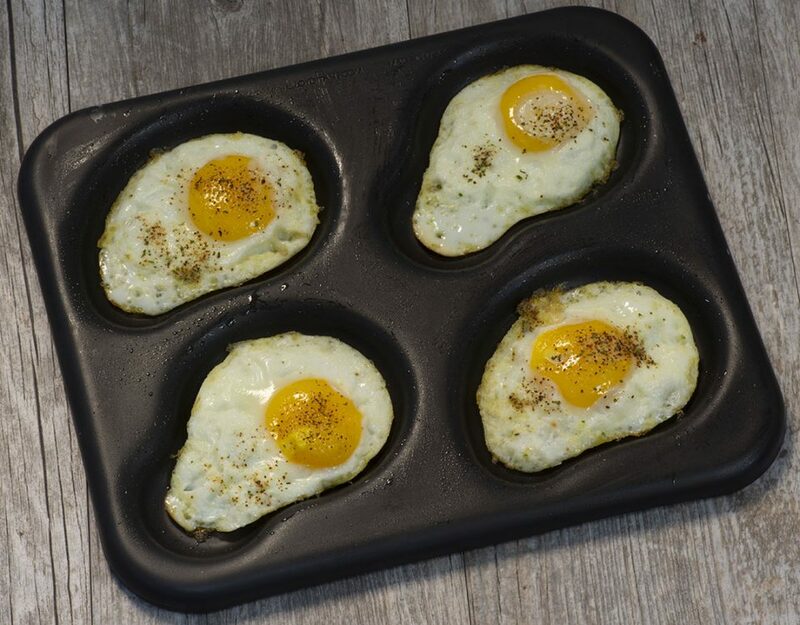 Make sure you have the best pans in the industry! We recommend our sheet cake pans or our Angel Food-tube pans. Burgers, Coffee, Ramen and Godiva Chocolate. Check Please!